After a long and hectic day, coming home when you look at yourself in the mirror, you sadly realize the effects of pollution, stress, scorching sun and a lot of other factors on your delicate skin. All of us are mostly in a hurry, and as a result, we rely on quick fixes to settle our skin tone. However, it is essential to understand that such products are temporary and can have adverse effects on the skin. Moreover, no foundation or concealer can match with the natural skin glow. Have you ever wondered how would it be like to have a magical wand that can instantly and naturally whiten your skin without harming it? Without a doubt, home remedies are extremely effective when it comes to bringing back your natural skin glow. 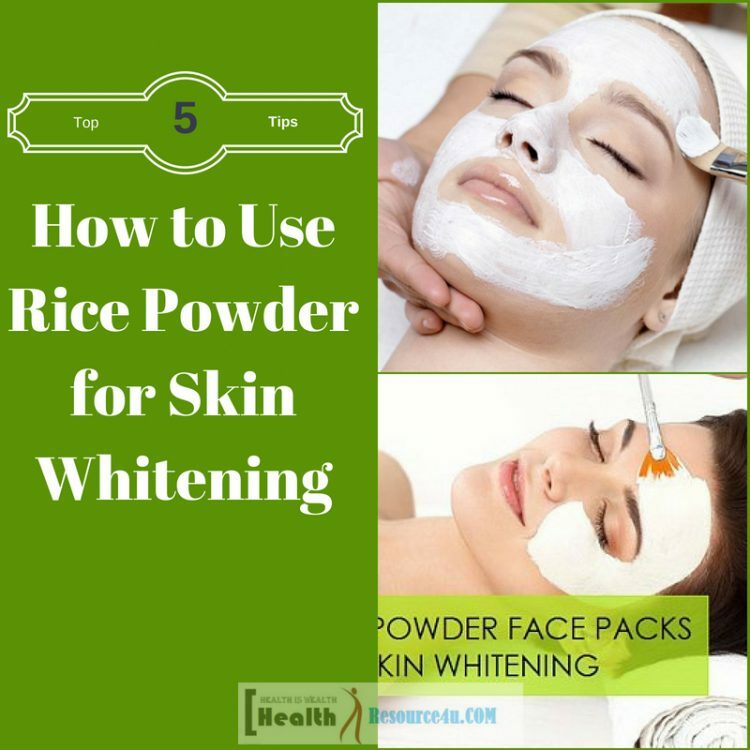 Rice powder is a great ingredient for treating skin blemishes and lightening the skin tone. This amazing beauty potion has been used for centuries by Asian women as a natural skin lightener. It has essential anti-aging and oil absorbing properties, that makes it ideal for oily and acne prone skin type. It has anti-inflammatory properties that soothe burnt skin, making it smooth, whiter and radiant. Read the post to find out some other miraculous benefits of rice powder and how it can be used to achieve a fairer looking skin in no time. Rice powder or rice flour is simply uncooked rice, finely ground to form a powder. Milk or water can be added to this powder to form a fine and consistent paste which can be used as a face mask. Rice water is nutrient-rich water that is made by soaking uncooked rice. It is cloudy in appearance and is extremely beneficial for skin. By now, you must have learned the fact that rice powder, and also rice water helps in keeping the skin youthful and radiant looking. But aren’t you curious to know exactly how does this rice powder work? Rice is a very rich source of PABA, para aminobenzoic acid that is a great sunscreen. When taken internally, this PABA increases the vitamin C level in the body. Rice also has a high concentration of allantoin and ferulic acid, which too protects the skin from the harmful effects of the sun. Allantoin: Allantoin is a great anti-inflammatory agent that promotes deep skin repair and negates the impact of sun tans. 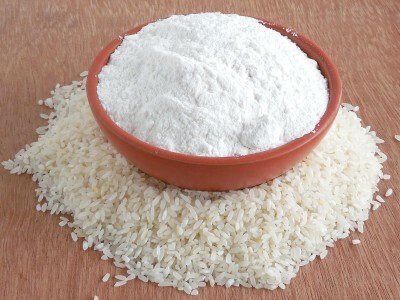 The tyrosinase present in rice powder prevents the excessive production of melanin in the skin. It contains vitamin B that promotes new cell production and delays the process of skin aging. 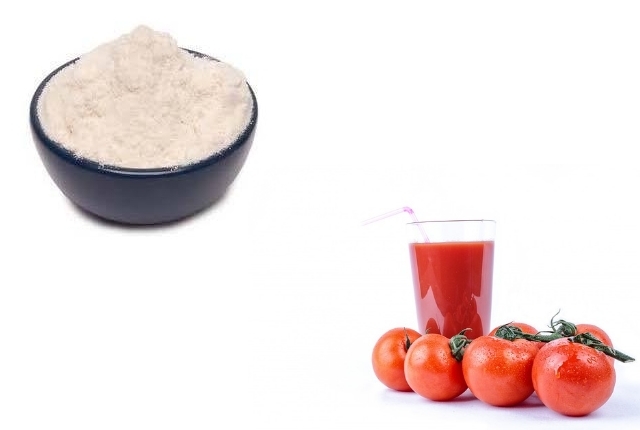 How to Use Rice Powder for Skin Whitening? 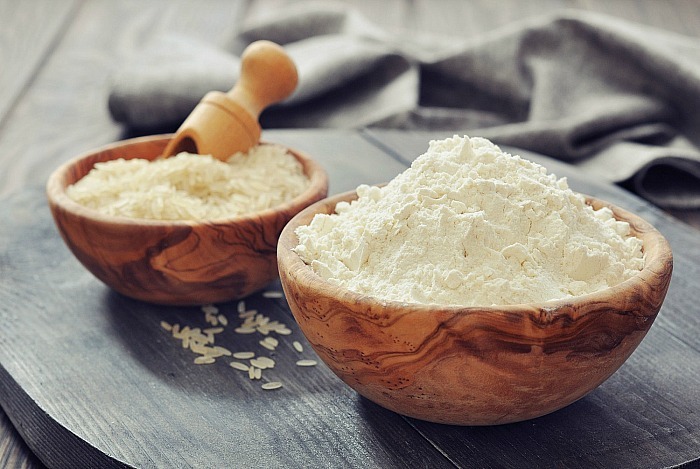 Just like rice powder, gram flour too offers a plethora of benefits when it comes to skin whitening. It deeply cleanses the skin pores, removing all the dead skin cells. It is rich in iron and essential vitamins that help in achieving a healthy and glowing skin tone. A lot of people use it in the process of cleanup as it removes the whiteheads and blackheads while massaging. Take the above-mentioned quantity of rice flour and gram flour. Add 2 spoons of hung curd into it. Stir well. Add a little amount of turmeric powder to the face mask. You can also add a little amount of water if needed. Now clean your face thoroughly with water and apply the mask on face and neck. Massage gently for a few minutes and let it dry for 10 minutes. Rinse with cold water. 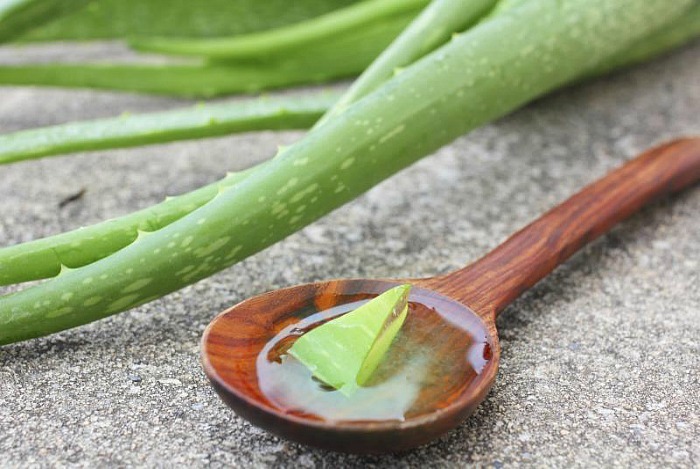 You all must be aware of the numerous benefits of aloe vera gel. It is the best ingredient that helps in achieving baby soft skin and also improves the skin tone and texture. Aloe vera contains a high concentration of vitamin C, E, and fatty tissues. When rice flour is combined with aloe vera, a rich face mask is made that enhances skin’s elasticity and makes it white and bright. 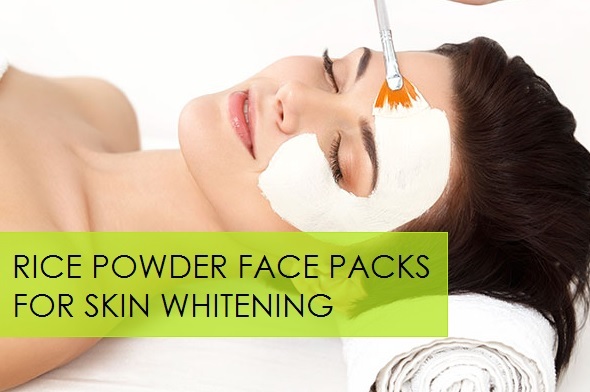 This face mask is ideal for people with a sensitive skin and for treating sun tans. Take the given amounts of ingredients in a bowl. Add some water to the mask. Mix well. Apply it on your freshly cleaned face and gently massage in a circular motion. Let it stay for 20 minutes then wash it off with cold water. It is a known fact that raw milk is the best source of vitamins and fats. It brings an instant glow to your skin, making it feel smooth and nourished. It also prevents acne, breakouts, and blackheads. It deep cleanses your skin, gently removing all dust particles and harmful bacteria. Honey, on the other hand, is rich in anti-oxidants and vitamin C. It treats skin darkness, uneven skin tone as well as sun tans. When both these essential ingredients are mixed with rice powder, the resultant is an extremely effective face mask. Take the rice powder in a bowl. Alternatively, you can also grind uncooked rice in a mixer grinder and let it stay for some time. Add the given amount of fresh milk to it. Add honey. Mix all three ingredients well. Apply it on your face and neck and gently rub in a circular motion. Let it stay for 20 minutes. Wash it off and pat dry. 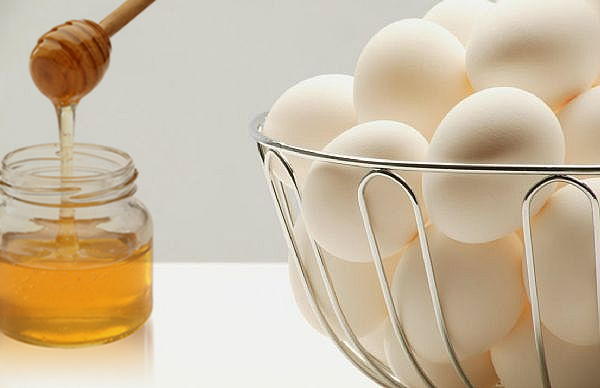 The amazing combination of rice powder with egg whites helps to close and tighten the skin pores. It controls the excessive production of melanin in the skin, as melanin only makes the skin look darker. Mix the above-mentioned ingredients together in a clean bowl. Apply the face pack on your face and neck and leave it to dry. Wait for 20 minutes and rinse it off with lukewarm water. For best results, use it thrice a week. 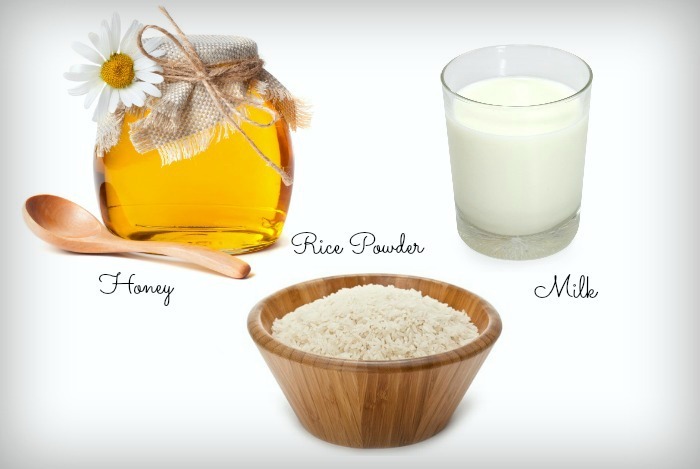 All three ingredients in this face mask offer great skin benefits. Rice powder assists in removing excess sebum from the skin; the potato bleaches it, making the skin feel lighter and brighter. 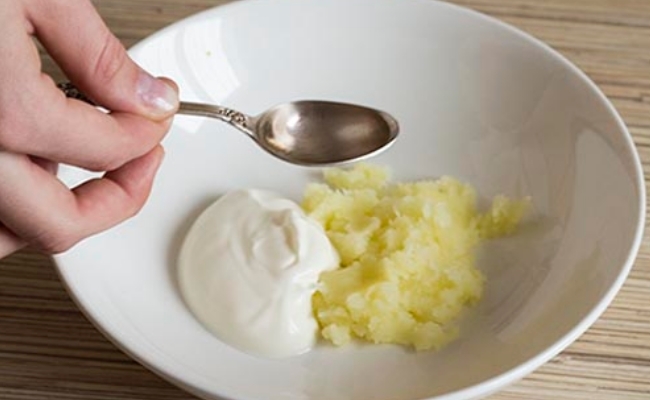 At the same time, yogurt provides deep skin moisturization. Mix all three ingredients together. Stir well. Apply it on your face and neck and let it dry for 20 minutes. Rinse it off with lukewarm water and pat dry using a clean face towel. Continue to use the face pack regularly to achieve visible results. *You can also use milk instead of yogurt in this face mask. 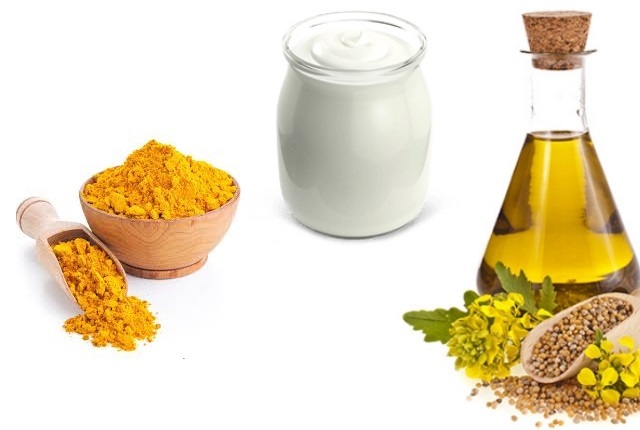 In this face mask, rice powder absorbs the excessive skin oil, yogurt provides intense skin hydration, olive oil moisturizes the skin and turmeric powder lightens and brightens the skin tone. Mix all the given ingredients in the above-mentioned quantities. Stir well. Apply this fine paste on your face and neck and let it stay for 20 minutes. Rinse off with cold water and gently pat dry. Apply the mask once a week to achieve a whiter looking complexion. 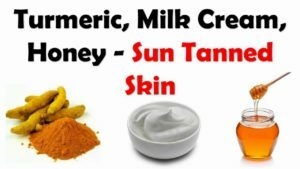 The perfect combination of all these ingredients helps to lighten the skin complexion. It provides the much-needed nourishment and hydration to your skin. Combine the ingredients together to form a thick paste. Apply this paste on your skin for 15-20 minutes. Apply this pack once a week for 2 months to see the results. 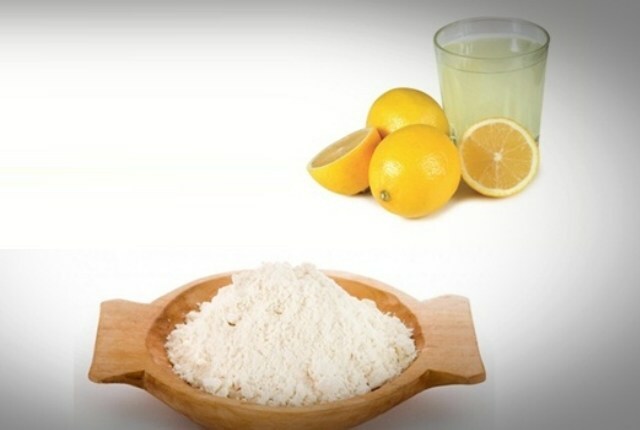 Lemon juice is known for its effective skin lightening properties. It lightens the blemishes, scars, treats acne and corrects the uneven skin tone. Mixed with rice powder, the benefit of it doubles up altogether. Combine the ingredients together and stir well. Apply it on the skin and let it stay for stay for 20 minutes. Gently massage the skin in a circular motion. Rinse it off with cold water. Alternatively, you can also soak a cup of rice overnight. Strain the water and grind the rice and finally add a few drops of lemon juice to it. Refrigerate for 1-2 hours. Apply it on the skin for 2p minutes and wash it off. You can also add a pinch of turmeric powder to the mixture for better results. Use the mask 3 times a week. This face mask is ideal for people with an oily and acne-prone skin. it helps to lighten the skin tone and treat zits and acne scars. Mix rice powder and fuller’s earth in a bowl. Add tomato juice and stir well. Apply a thick layer of the mask on your face and neck and let it stay until the time it gets fully dry. Rinse off with cold water. Repeat the process daily. The face mask aids in reducing the skin dark spots and prevents the appearance of early signs of aging. Immerse the teabag in hot water. 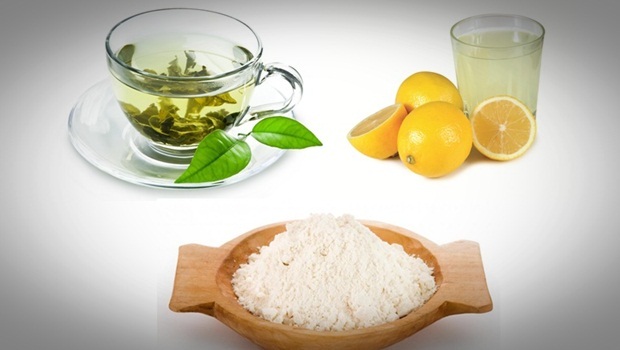 Mix 3 tablespoons of green tea with rice powder and lemon juice. Apply it on the face and neck and wash off after a few minutes. Use the mask 3 times a week to achieve fast results. Rice powder can scratch your sensitive skin. Be sure to be gentle while scrubbing so as to protect your skin. Perform a small patch test on your arm before using any rice powder face pack in order to ensure that you are not allergic to it. Do not apply any of these face packs on cuts or bruises. Always apply a good moisturizer after using any of these remedies. Be careful to not let the rice powder enter your eyes. If it does, rinse immediately. Have a healthy diet to keep your skin nourished and hydrated. Always apply a good sunscreen moisturizer before heading out under the scorching sun. does we can wash face with soap after using this ????? Can we use this for uplifting of face skin? Can we use rice powder daily?